The TH-3070-UF is the ideal wall mounting solution for large screen displays. It has been brilliantly engineered to support up to 200lb. 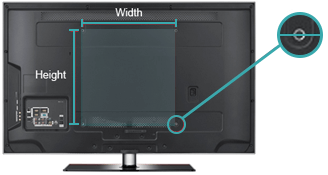 The mount holds a wide variety of screens thanks to its universal mounting hole pattern that fits to most VESA and non-VESA screens. Installation is simple and quick, with the option of a theft resistant security bar for added protection of your expensive display equipment. Even after installation, screen height can also be easily adjusted.